For some people, death is a transition to the next life. To others, death is the end of everything. Whether death is a passage to the next world or the beginning of nothingness, there is always something beautiful to tell about someone who passed on. 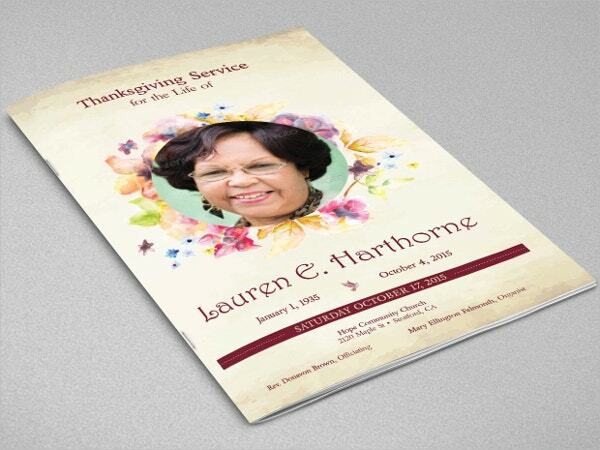 The best way to do that is to use a funeral booklet template. The booklet isn’t big for the reason that you are likely to write about only the most specific and significant facts about the deceased. 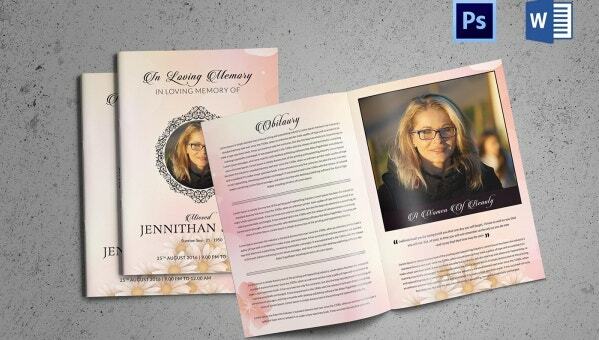 You can also see Funeral Program Template. 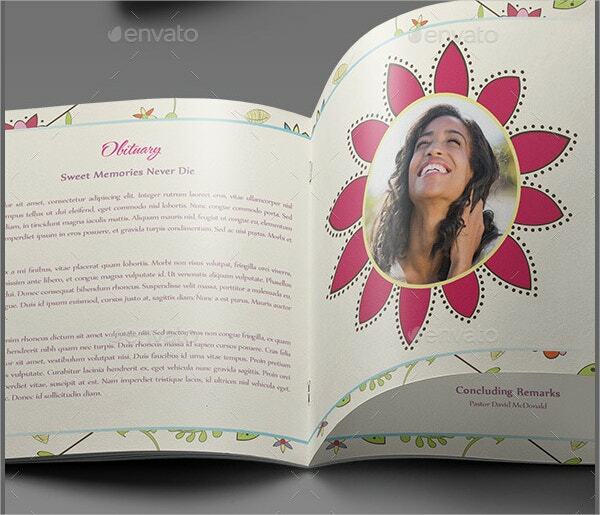 If you are looking for the best template that you can use as funeral booklet, you should consider downloading this high quality, easy-to-edit, customizable premium template. This one is an 8-page template, enough to let you tell your story. 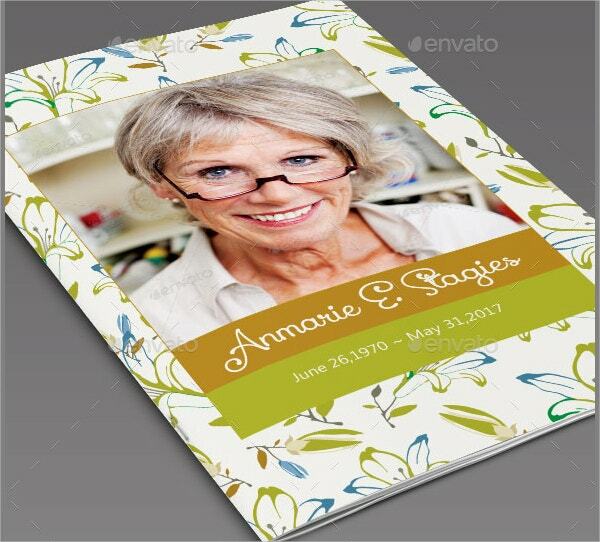 The best thing you can do if you intend to prepare a funeral booklet is to download a template and customize it instead of creating the whole thing from scratch. 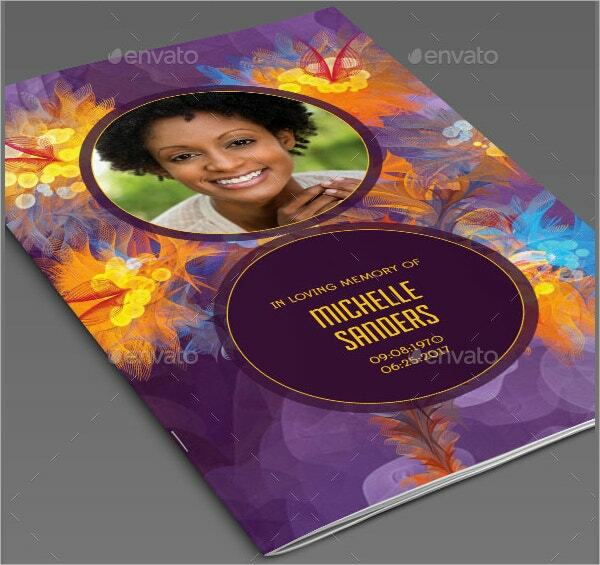 The funeral booklet template is an easy-to-edit, high quality theme. Feel free to edit the premium template in Word or Photoshop. Note, though, that some pages do not have images, but commercial free fonts used. 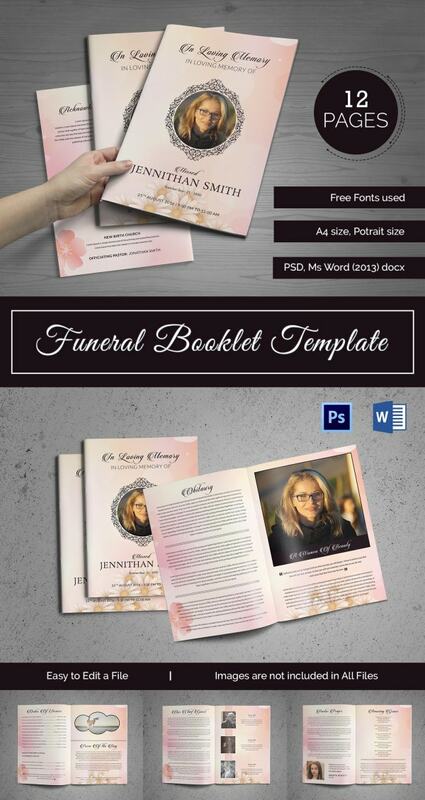 The 12-page funeral template is a uniquely designed model editable only in Photoshop and Microsoft Office Word. While not all files have images, the booklet still looks great in plain text. The premium template is print-ready. 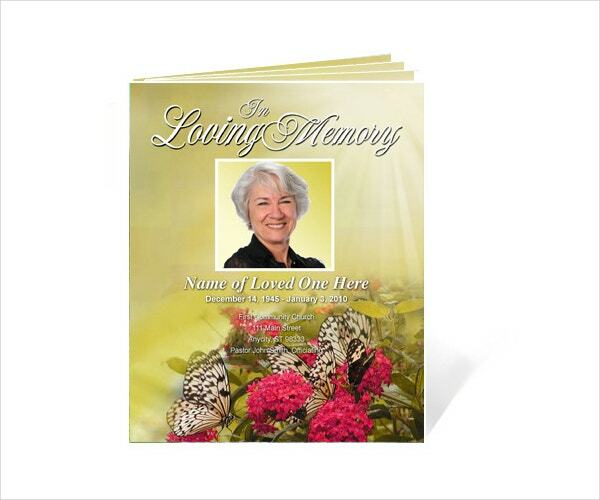 Use the 16-page booklet to write an obituary. Make the content as interesting as possible. Replace the default images with those of the person that just died. The template is print ready. 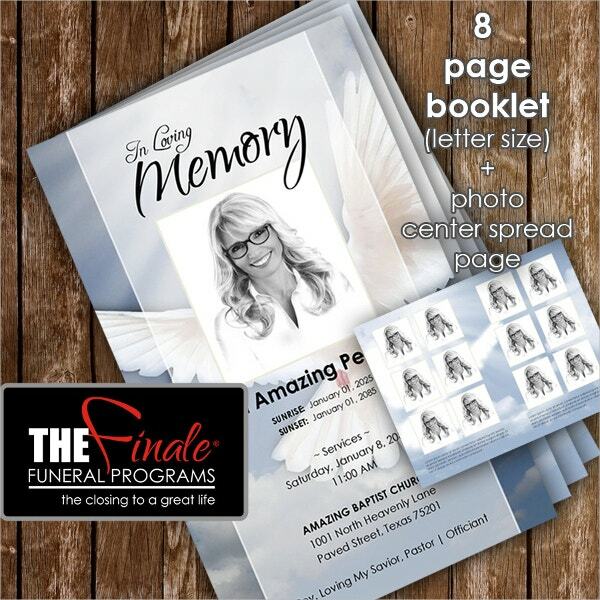 The preliminary value of a funeral program booklet is that it tells everyone in attendance to know when an event starts, and when it will end. As such, there won’t be room for guesswork or a chance for wasting time. Funeral services aren’t those with happy starts and sweet endings. Regardless, people must attend them to pay the last respect to the dead. You can use this template to prepare a good program for the service. Even after someone dies, there is always something better to say about him or her. The eulogy does not have to be long, so a booklet should be good enough for a summary of the most significant parts of the history. This template looks great to the eyes, so you will love it even before clicking the download link. Moreover, the template is editable, easy to customize, and simple to use. 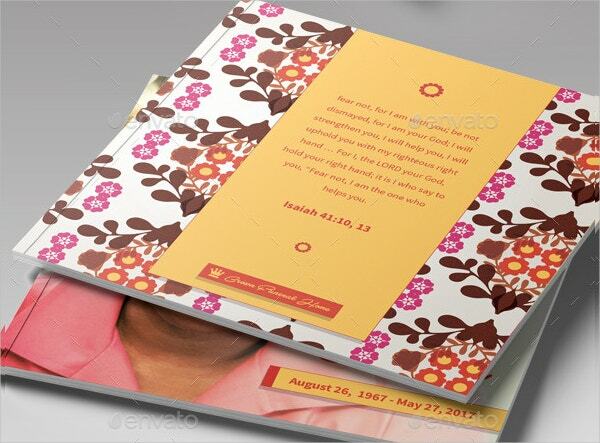 You can also see Funeral Bookmark Template. It is important to tell a short story about the person who just died. 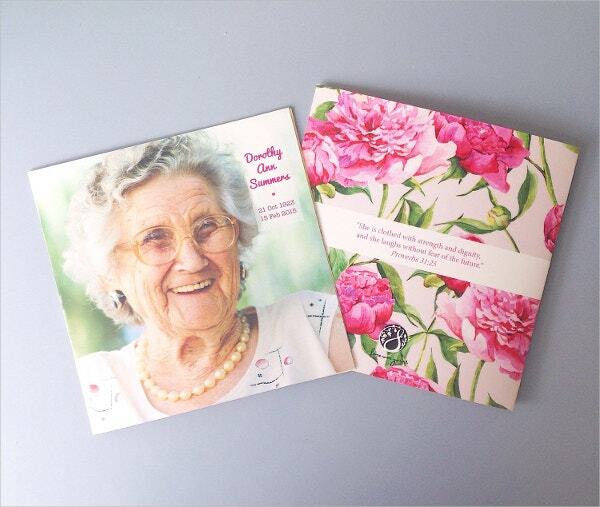 It does not matter whether the story is sweet or sad, but you can use this booklet template to put it all down for people to read. 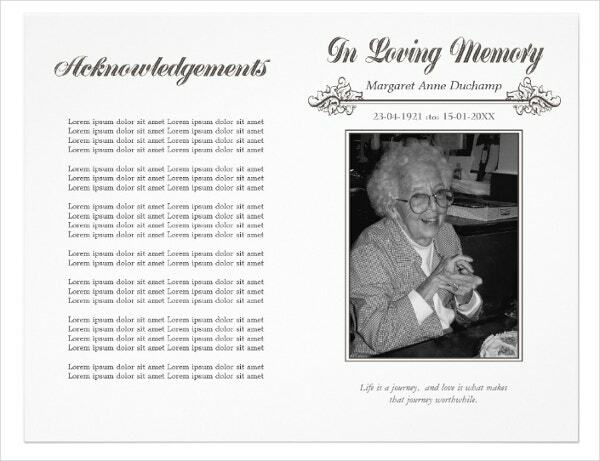 > What are the Benefits of the Funeral Booklet Templates? 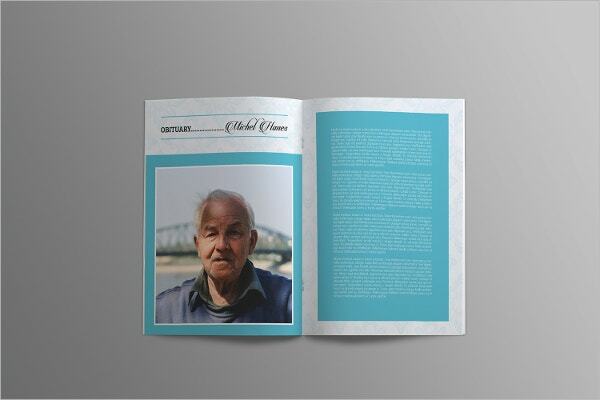 A booklet template is an easy-to-use booklet that you can use to tell a story. 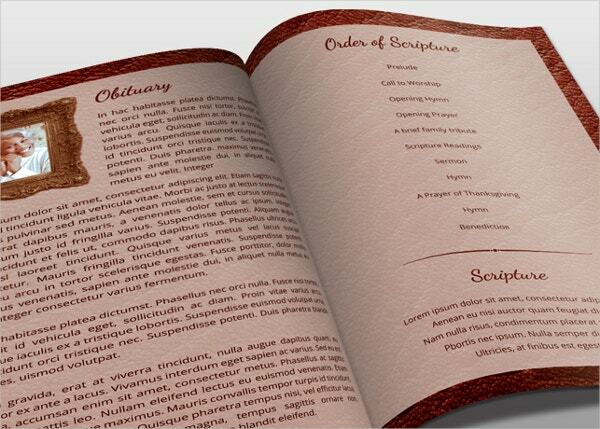 Because in this context the template is precise, it is easy to conclude that the role of the booklet is funeral based. The template can help you tell the story of the person who passed on. By narrating the story of the departed soul(s) in writing, you are able to communicate a lot about the dead to the reader. It is important to understand that you do not have to edit the design of the template. The layout is print ready, so all you have to do is to download the template, edit the content by replacing the text and images with yours, and then print the booklets for distribution. 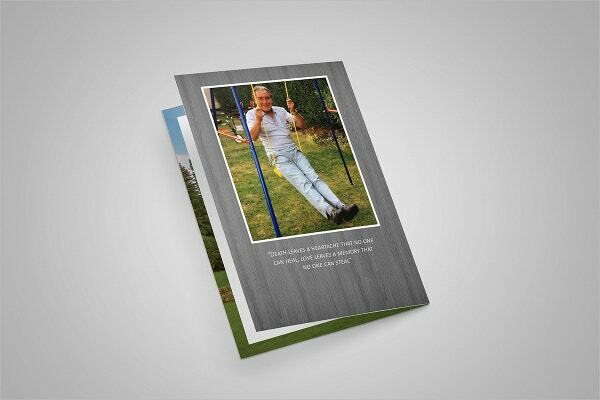 You can also see Funeral Invitation Template. 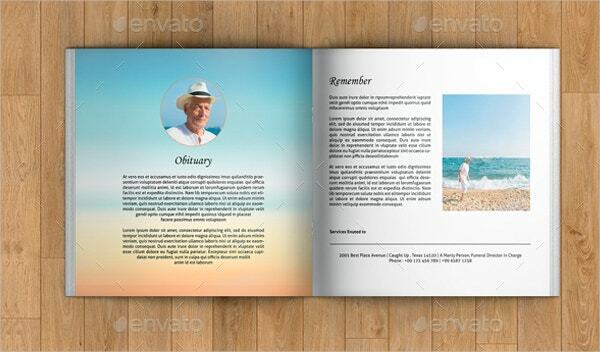 > What are the Uses of the Booklet Template? 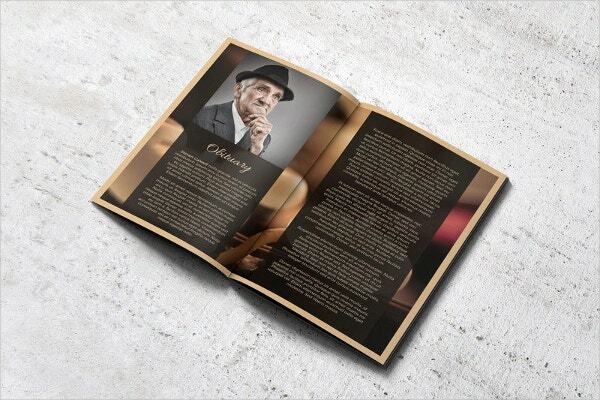 The booklet is a tool for writing the summary of the fallen individual. The story is often short, so the space provided on the template should be sufficient to write a brief about the person that just died. You can customize the template if you want, but it is not necessary to modify the design at all. If you are kind of person that run cold at the mention of anything related to death, you had better not attend a funeral event at all. First, deal with the fear of death, and then you can gain the confidence to attend a ceremony held to pay the last respect to the departed souls. If someone in your family passed on but you do not have enough money for the funeral event, you should consider the option of burying the dead the same day they passed on. The only thing you need to do is to dig up a grave, bury the corpse, and that will be it. 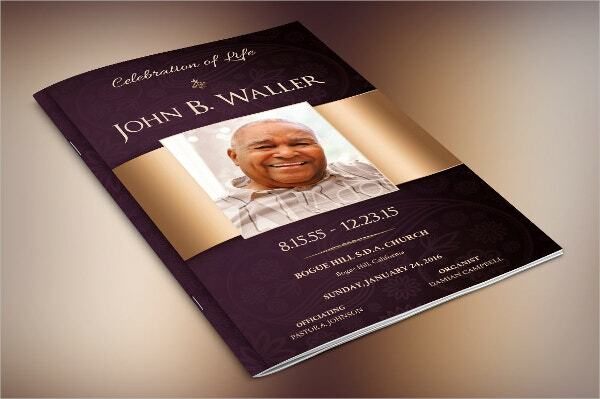 You can also see Funeral Notice Template. Telling the story of the deceased is often not necessary, but it can be important to let people know about the story of the dead. This way, they will be aware about who the dead was, especially their lifestyle and beliefs. This template is 100% editable, hence easy to customize.